As Malthael tightens his grip over the innocent people of Sanctuary, a legion of console gamers stand ready to join the crusade against death. Blizzard Entertainment today announced that Diablo® III: Reaper of Souls™ – Ultimate Evil Edition™ is now available on the PlayStation®3 computer entertainment system, PlayStation®4 computer entertainment system, Xbox 360®, and Xbox One™. The console-exclusive Ultimate Evil Edition is filled to the brim with action, adventure, and epic loot—it includes all of the content from Blizzard’s award-winning action role-playing game Diablo III, as well as new features and updates from the critically acclaimed Reaper of Souls expansion, including Adventure Mode, Act V, the Crusader class, leveling to 70, new Legendary loot, new crafting options, and much more. The Ultimate Evil Edition isavailable now at retail stores and digitally through the PlayStation®Store and Xbox Store (Xbox 360 digital version will be available September 18). 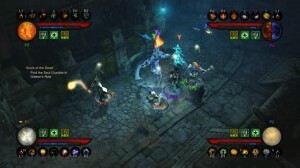 The Ultimate Evil Edition takes advantage of the unique features of the console platforms. 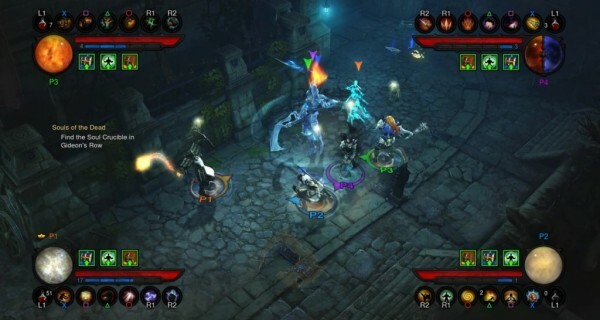 All four console versions of the Ultimate Evil Edition feature 4-player same-screen and online multiplayer—whether Sanctuary’s heroes are banding together on the same couch or joining the fray via PlayStation®Network or Xbox Live, Reaper of Souls makes it easy to experience Diablo in the best way possible: with friends. The Ultimate Evil Edition also adds more ways for players to share their adventures: Apprentice Mode makes it easier than ever to group up with friends; the Nemesis System sends hero-slaying monsters into friends’ games until vengeance is won; and new Player Mail and Player Gift features give players new options for sharing their treasures with allies—because nothing says “friendship” like unwrapping a piece of awesome loot. 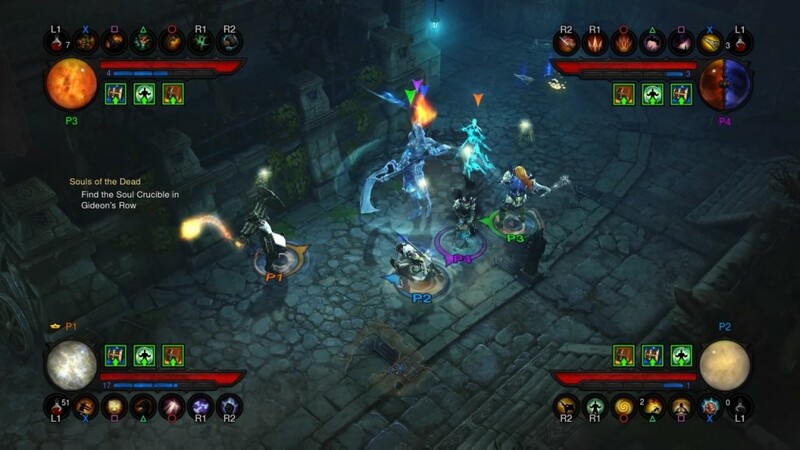 In addition, players who fought the forces of evil in the original PS3™ or Xbox 360 versions of Diablo III are able to continue their crusade against death, including cross-platform support on next-gen consoles. PS3™ characters from the original game can be transferred to the PS3™, PS4™, or Xbox One version of the Ultimate Evil Edition, and Xbox 360 characters can be transferred to the Xbox 360, Xbox One, or PS4™ versions. For more information on exporting your characters’ save files, visit the Diablo III community site. In Reaper of Souls, the five valiant heroes from Diablo III—Barbarian, Demon Hunter, Monk, Witch Doctor, and Wizard—are joined by a new champion: theCrusader. Clad head to toe in fortified armor, the Crusader is an unstoppable force of righteous destruction who channels the power of divine wrath to visit retribution upon his demonic quarry. Reaper of Souls adds a challenging new act to Diablo III in which players will embark on a dark and perilous journey through terrifying landscapes; explore the legendary city of Westmarch; and slay countless minions, each hell-bent on bringing the players’ heroic quest to a grisly end. The adventure culminates in a climactic confrontation with Malthael, the Angel of Death, whose twisted designs spell ruin for the innocent people of Sanctuary. All of this new content comes with the Ultimate Evil Edition, which players can purchase today at a suggested retail price of $59.99 for the PS4™ or Xbox One, or $39.99 for the PS3™ or Xbox 360—check with your local retailer for availability. Players who take the fight for Sanctuary to their big screen TV on the PS3™ or PS4™ will also enjoy exclusive content based on two popular PlayStation®games!